From 23rd to 30th October the Orfeó Català will travel to China for the first time, where they will perform four concerts in three cities as part of the 20th anniversary of the Shanghai International Art Festival. 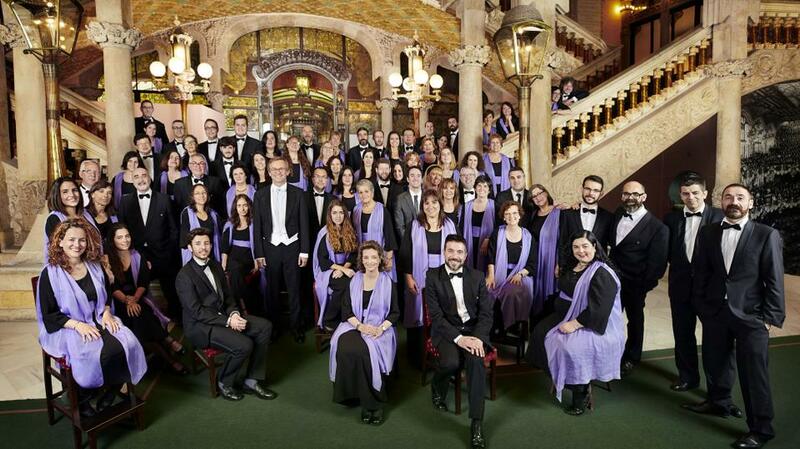 The Palau de la Música Catalana choir will give their first performance on 25th October at the Shanghai Oriental Art Centre, one of the largest theatres in the city. On Friday 26th the choir will perform in the city of Wuxi at the Wuxi Grand Theatre, known for its unique modern architecture. The following day, the Orfeó will travel to Hefei, where they will give a concert at the Hefei Grand Theatre, the city’s main auditorium and another example of extraordinary architecture. Finally, on Sunday 28th October, the choir ends its mini-tour of China with a second concert in Shanghai, this time at the Shanghai City Music Lawn. Led by conductor Simon Halsey and joined by Pablo Larraz as assistant conductor and Pau Casan on piano, the Orfeó Català’s musical programme will include some of the Catalan repertoire in order to promote the nation’s artistic heritage in the Asian country. The concerts will begin with Franz Schubert’s glorious anthem to the sun, An die Sonne, and will be followed by six choral pieces from Edward Elgar’s From the Bavarian Highlands, which will bring the first half of the concerts to a close. For the second part, the choir will perform pieces from Catalonia’s most universal musician, Pau Casals, including O vos omnes and Nigra sum. The Orféo will then sing three pieces – A l’ombra del lledoner, Maig and Festeig – by Eduard Toldrà, another great Catalan conductor. The Chinese public will also have the opportunity to hear Retaule de Cançons Populars by Albert Guinovart, a series of six popular songs arranged for choir and piano and commissioned from the composer by the Orfeó Català. The Palau choir will end the concerts with two pieces which they will perform together will a local choir. One of these will be a Catalan popular song and the other a traditional Chinese piece, which the Orfeó has been preparing with great interest. The chance to share the stage with a Chinese choir gives these concerts added value. The Orfeó Català choirs are the central axis of the artistic project of the Fundació Orfeó Català-Palau de la Música Catalana. This tour is part of the ongoing drive to internationalise the Orfeó Català, which last year made its debut at the prestigious BBC Proms festival in London alongside the Cor de Cambra. The Orfeó Català also performed in London at the Royal Festival Hall in 2015. Over recent years, they have given their first performances at the Konzerthaus in Vienna and at the Sala Gulbenkina in Lisbon as well as headlining a tour in Italy with the Mahler Chamber Orchestra, under the baton of D. Gatti. In October 2017 they were the leads in the European premiere of Considering Matthew Shepard by Craig Hella Johnson at the Palau, conducted by Simon Halsey.